Hubby: Let us order some ice-cream after dinner. Son: Sure, Mom..What flavour should I order for you ? But as I eat my ice-cream, my mind is flooded with my childhood memories and the emotions attached to them. 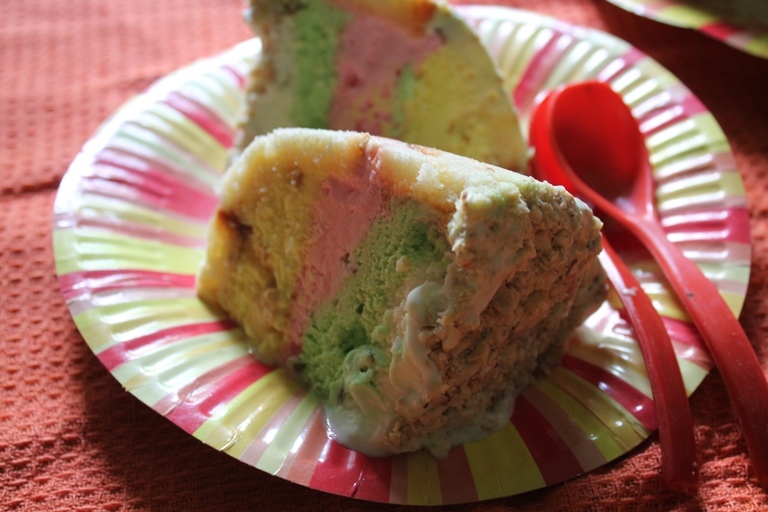 Back in the 70’s and 80’s, the cassata was the most expensive ice-cream on the list and it was every child’s dream. The mere thought that we would have a cassata after the dinner at a restaurant (which in itself was a rare treat) would be the highlight of the evening. The cassata ice-cream moments are as clear as yesterday in my mind. It is a memory indelibly etched to remain forever. I remember the huge servings of the three layers of the tutti-frutti, strawberry and vanilla sprinkled with assorted nuts, the shutting of my eyes as I felt the sweetness melt in my mouth…. Those were the times of a less complicated era and the simpler pleasures of life. Nostalgia..how it hits us when we least expect it..